Herff Jones Inc, which is also known as Herrf Jones Company, is employee ownership type company that sells and manufactures educational achievement and recognition products along with different motivational materials. The company is offering this service from long 90 years. The organization maintains both manufacturing and selling facility in Canada and in the US. It was established in sixth of February 1920. Headquarter of the organization is in Indianapolis, Indiana. Joe Slaughter is the respected president and CEO of the organization. Approximately 3000 full time employees and 70 sales representatives are working for the organization. Popular products manufactured by the organization are Globes, maps, and Yearbooks. 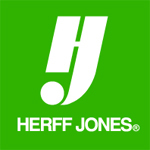 There are currently 0 consumer reviews about Herff Jones Inc available. Share your review. Please take a note that you are about to post a public review about Herff Jones Inc corporate office on CorporateOffice.com. This review will be public, so please do not post any of your personal information on this website. If you would like to contact the corporate offices of Herff Jones Inc, please use their contact information such as their phone number, website, and address listed above to contact them. However, sometimes staff from Herff Jones Inc headquarters do read the reviews on this website.